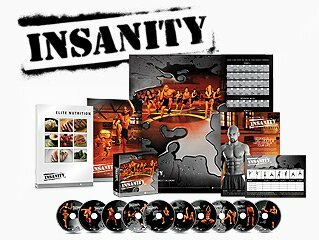 The Body Beast workout is NOW Available! What’s exciting about Body Beast is that this will be the first Beachbody program that is dedicated to help you Gain Muscle Mass. No hybrids, no guessing, a workout designed from start to finish with one goal in mind. Gain Muscle Mass! So what is the Body Beast Workout? We’re not talking about modifying P90X or any other Beachbody program, we’re talking about a program dedicated to maximizing muscle gains and fat loss, just like the pros do. Who’s the pro? Sagi Kalev. This champion body builder has created Body Beast, a program that uses a combination of old school and new school bodybuilding techniques to gain muscle mass without expensive equipment, and without having to go to the gym. (I’m sure you’ll need some good dumbbells). 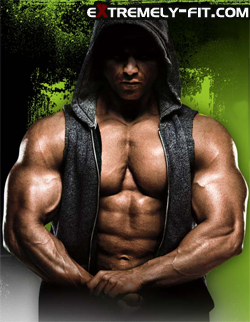 Additionally, the Body Beast program is being designed to work “the natural” bodybuilder way, which means no steroids or other harmful supplements. You may be asking yourself… Is this going to really work? The same people that put together P90X is behind Body Beast, so the answer is YES! of course the best results will come from those that are dedicated in working out hard and eating right! The good news…. Body Beast is going to encompass a body-building, nutrition and supplement system all in one package. Sagi Kalev is a well known bodybuilder with two “Mr. Israel” titles, as well as many others to his credit. After immigrating to the U.S. from Israel in 1993, Sagi worked as a fitness and bodybuilding model. With a college degree in physical education as well as a minor in nutrition, he’s now a dedicated fitness expert, currently working as a personal trainer and nutrition counselor. Sagi has helped hundreds of people prepare to win both national and international competitions including Fitness Model America, MuscleMania®, Model America, the Europa Super Show, NPC Ronnie Coleman Classic, and more. So guess what… Now you get the chance to learn the same techniques used by other body builder competitors to carve out your own physique. Not to mention gain muscle mass to get that bigger, muscular body you’ve always wanted. Who should use Body Beast? Whether you are a beginner with the desire to get in shape, add some muscle, and get big… Or, maybe you’re already a P90X grad, and want to add more muscle mass…. You might just be tired of paying gym memberships, or having to travel to a gym. Body Beast is being designed to fit any fitness level. What about Body Beast Equipment, Supplements, or Nutrition? You’re gonna need to invest some money if you want to get the best results. You need the program (of course), but you’re also going to need a clean healthy diet. I say diet, but its more of a nutrition program. If your goal is to get big and gain muscle, you must consume more calories in a day that you burn from exercise or daily life. So be prepared to buy some groceries! You’ll also probably want to invest in some recommended supplements as well. But we’ll learn more about that later, it should be included with the Body Beast program. The last thing you might think about is several dumbbells. I use PowerBlocks. it’s an investment, but I’ve had mine for 5+ years and they’re like brand new still. Take a look at them here. Consider investing in them now, and having them ready for later. Or to defer the cost over a period of time, rather than getting hit all at once. If you’ve ever wanted to gain muscle mass, now’s your chance to learn how…. the right way! Personally, I’m excited! I’ve always been on the skinny side, I can lose weight, and I can get ripped, but the adding muscle mass part has always escaped me. Now we get a pro to show us how. The weight lifting, the nutrition, the supplements. Can you say BODY BEAST! Get excited with me! Awesome! Excited and can’t wait! Mira, This program is supposed to be designed for building mass, so you should see some great results from it! im 5’10 185 and im almost done p90x. Im pretty impressed with my results but id like more muscle mass.